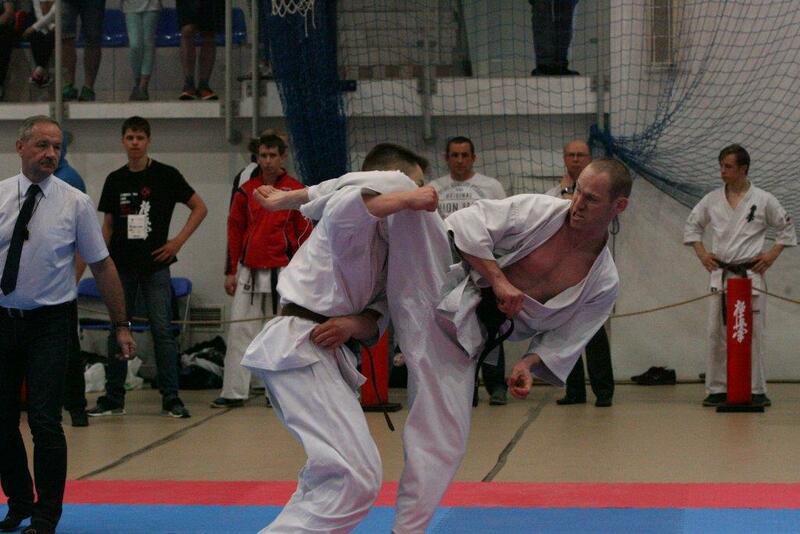 April 21, 2018 took place in Limanowa 45th Polish Kyokushin Championship with 112 competitors representing 54 Kyokushin centers. 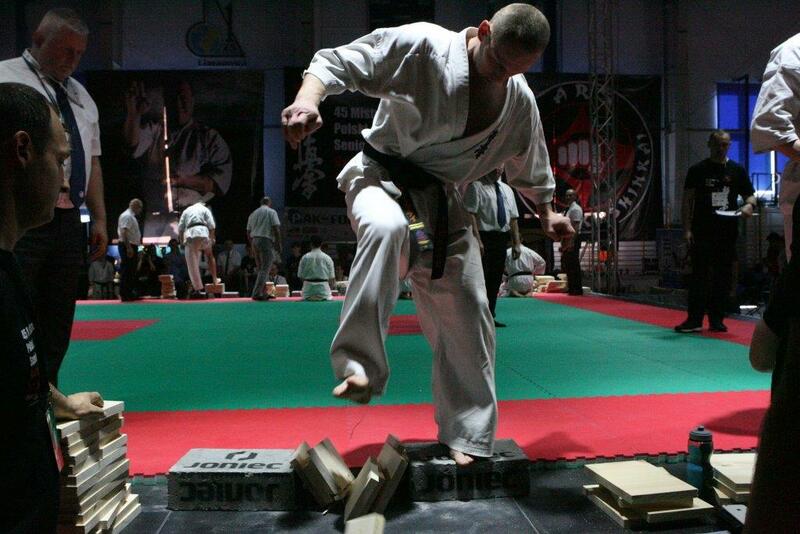 The main judge was shihan Andre Drewniak and the technical judge shihan Edward Urbańczyk. The championship have received a unique setting. The competition took place on 3 mats. The main mat on which the final battles were held was located on a special platform surrounded by a ramp on which a computer-controlled lighting and sound system was placed. 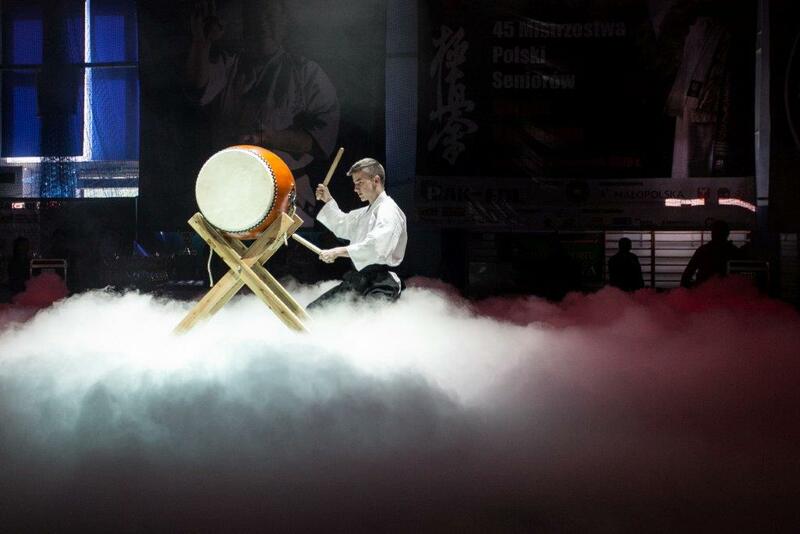 The ceremony of the official opening of the championship was especially spectacular, during which the contestants entered the competition hall through the Tori gate to the sounds of Japanese music, preceded by the sounds of the Taiko drum and using specially programmed lighting to add the opening ceremony of the unusual mood. In contrast, all the final battles were preceded by Taiko battle drums. The championships were entirely broadcast from 3 cameras live via internet links. In addition, a report on interviews was made, thanks to which the broadcast on the evening program of TVP Sport and Radio Kraków took place on Saturday. Journalists received full MP results. 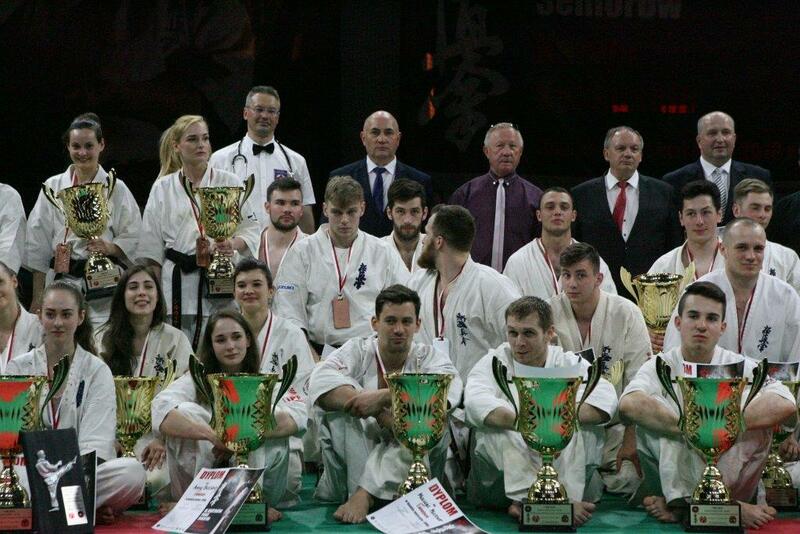 The Organizer of championship was Limanowski Klub Kyokushin lead by sensei Arkariusz Sukiennik. 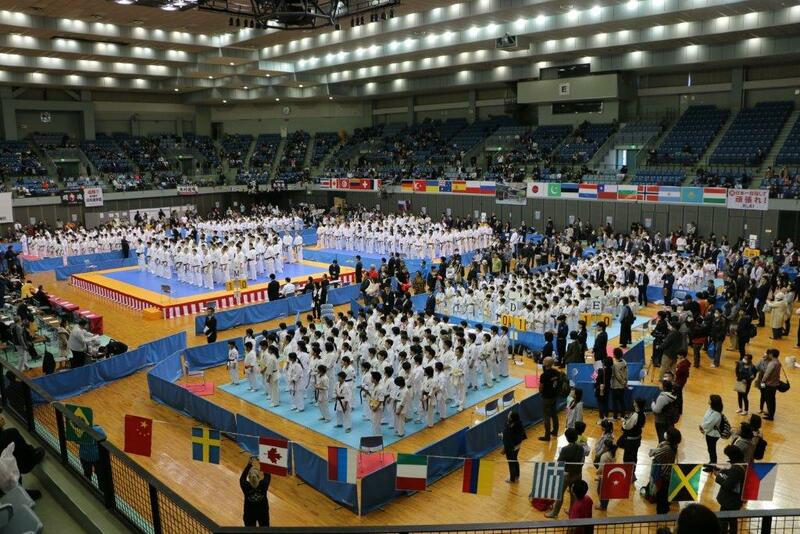 25th March 2018 in Chiba Sport Arena in Tokyo was held The 5th KWF Grandprix open tournament with participation 740 competitors from 11 countries using KWF Kumite Rules. The registration was made in official Hotel APA Makuhari. During opening ceremony General Secretary KWF Andre Drewniak spoke on behalf of the KWF Board and forwarded successes to competitors, coaches and judges. He stressed that all Senseis who were students of Sosai Mas. 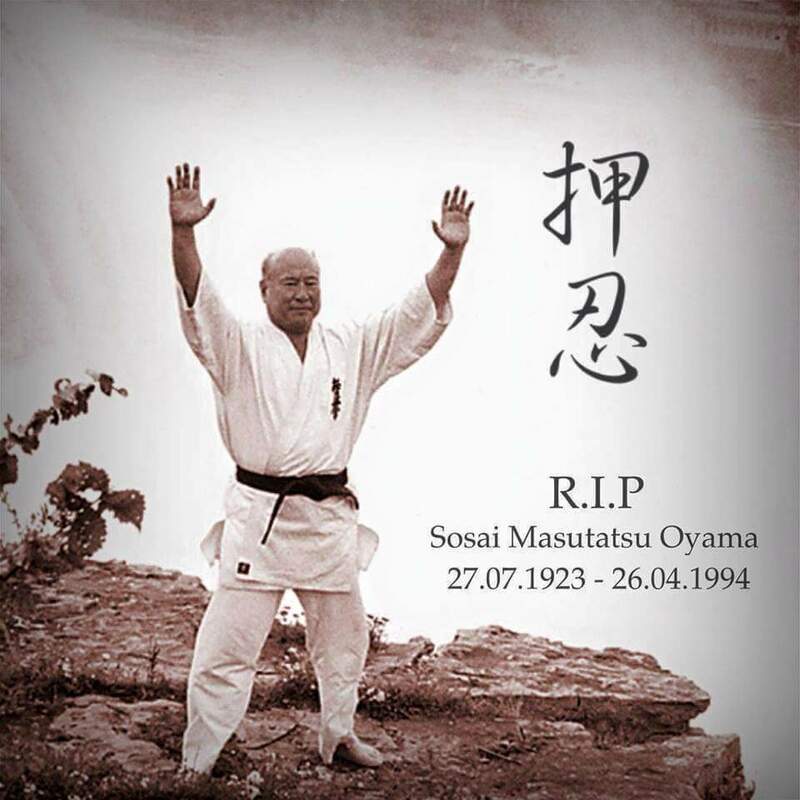 Oyama have the obligation to train young people in spirit of philosophy and rules taught by Sosai. 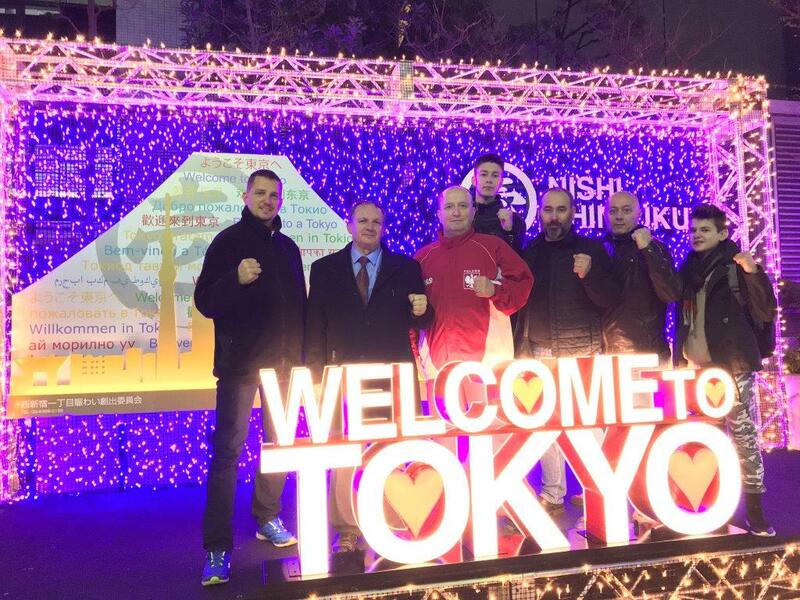 In the name of KWU, General Secretary Alexander Pichkunov spoke, who stressed the need to unite all of Kyokushin. The guest of honor was AKR Director Sergey Suvorov. The main judge was shihan Kaneko from Japan. 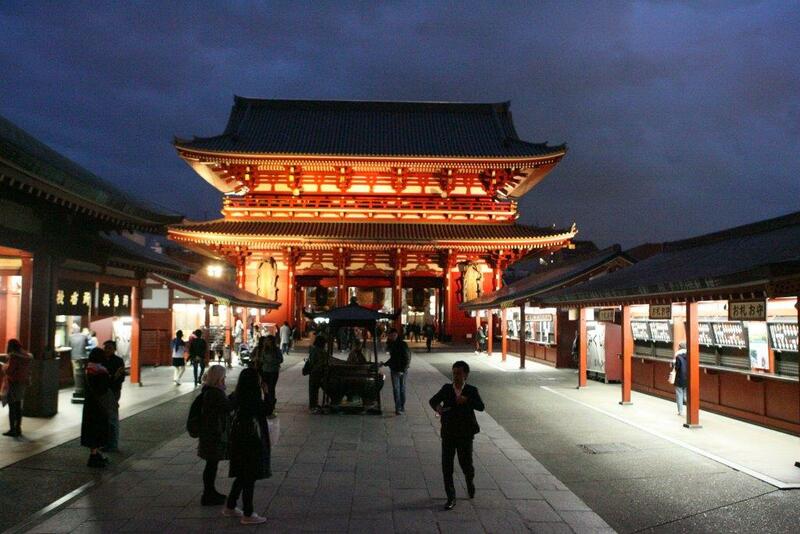 At 26th March there were bus trip to visit of Sosai grave, Tokyo National Museum and Asakusa Temple. 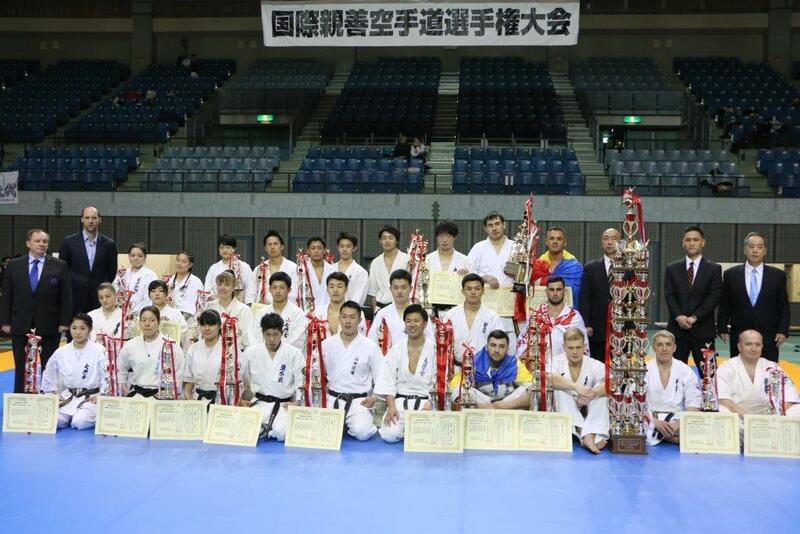 The organizer of tournament was Japanese Kyokushin Federation lead by CR Noriyuki Tanaka. KWF Norway arranged the yearly Technical seminar the weekend of March 2-4 2018 in Oslo. This is a yearly event that is very important for keeping up the standard for KWF Norways instructors. 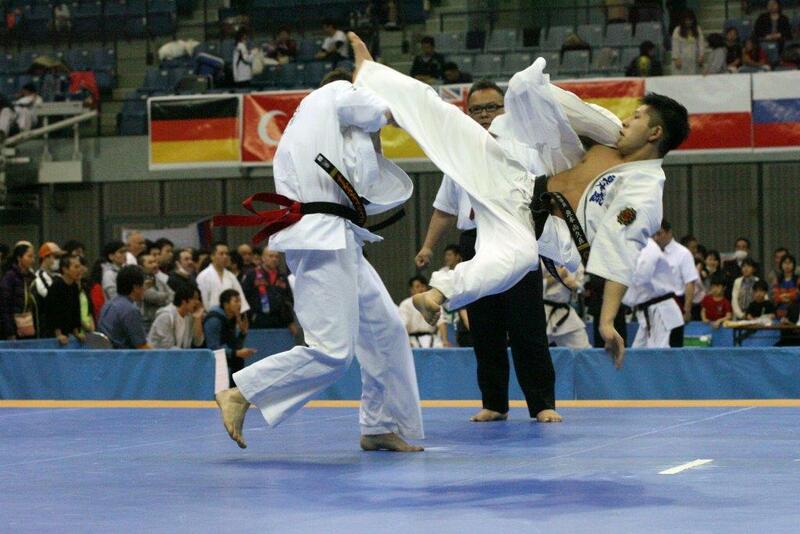 The main instructor was KWFs president Shihan Antonio Pinero 9. Dan. Also Shihan Lars Hogquist 7 dan and Shihan Magne Kastad 5 dan were instructors. The agenda was to go through most of the syllabus. Starting with 10. Kyu. Well we did not quite get to Yondan. Shihan Antonio Pinero worked well to have our instructors understanding that there are several ways to teach KWFs techniques. Totally close to 50 participant attended our seminar and with great joy. We had participants from all north in the country to all south. Unfortunately Oslo has received a lot of snow this year and Shihan Antonio Pinero had to get on top of a 4 meter high snow "mountain" in my garden and did some techniques!! The seminar was a great success and we will be back in 2019. 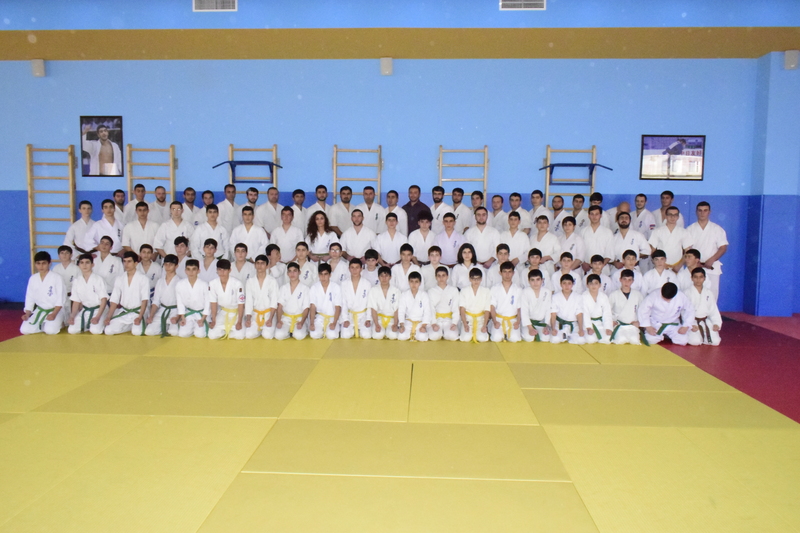 23 January 2018 the President of the Kyokushin Karate National Federation sensei Spartak Gasparyan led the seminar at Olympic Sports Complex, with participation of the federation coaches as well as some of the experienced fighters as Artur Arushanyan (KWU World Champion), Hrach Grigoryan, Grisha Torosyan (2nd place winner), Narek Gabrielyan (Japan Cup Champion ), Hunan Mikayelyan (Caucasus Prize winner), and doctor traumatologist-orthopedist Janik Asteyan, during which an exchange of experience and discussion of new useful information took place. We would like to inform you that such seminar-training are planned to be held in the near future as it is an exciting innovation for the participants. We are grateful for all the participants, and we will regularly post on our page the details and pictures of the exciting workshop.